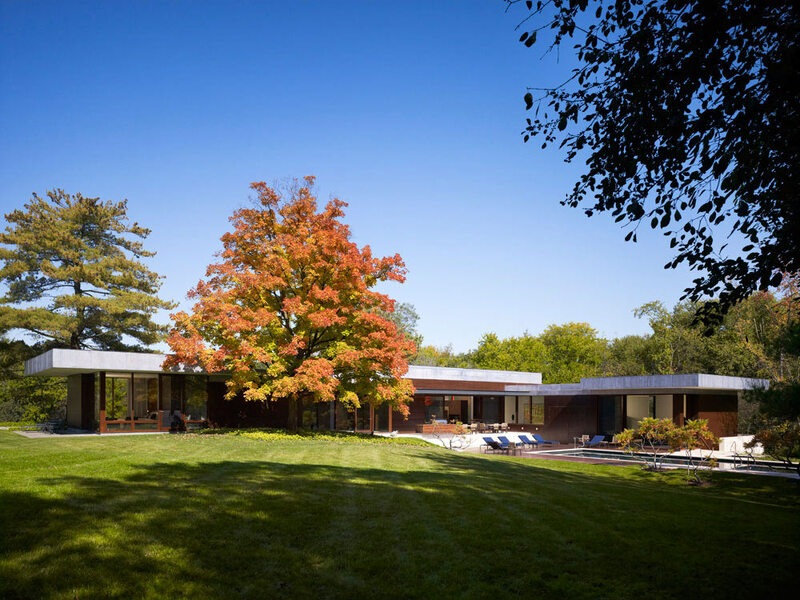 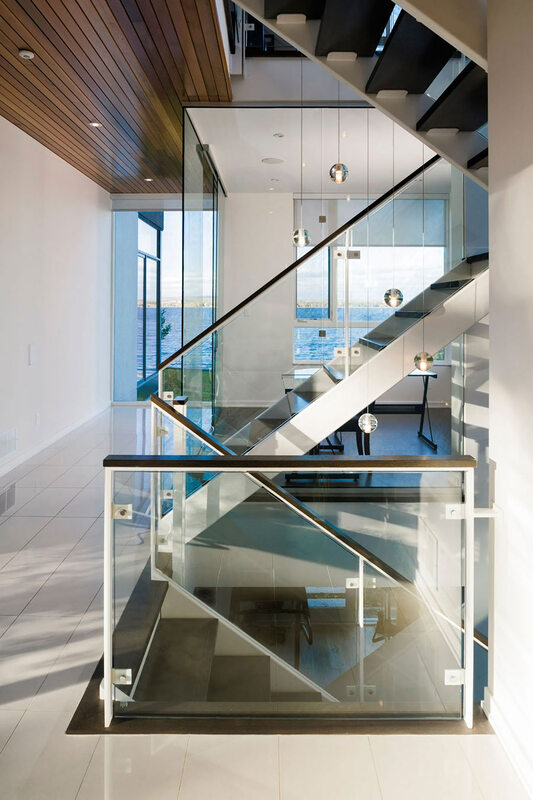 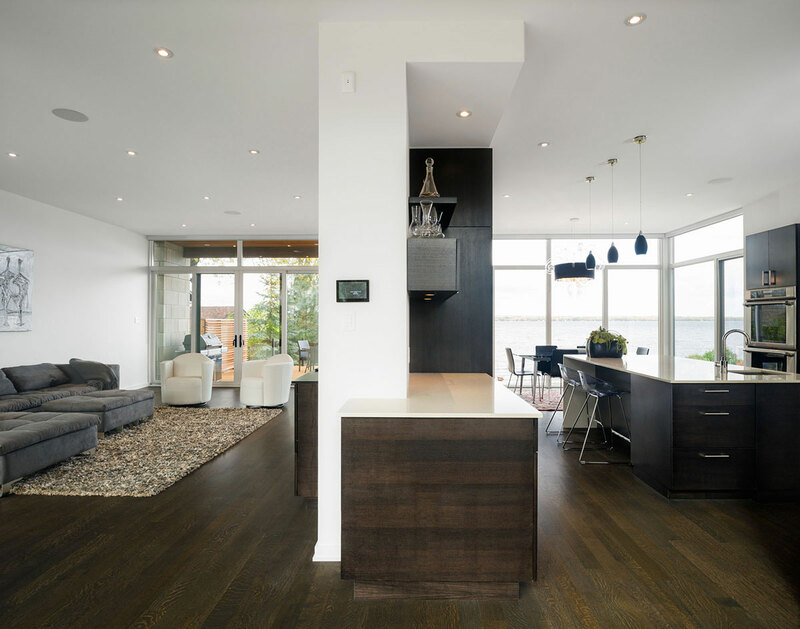 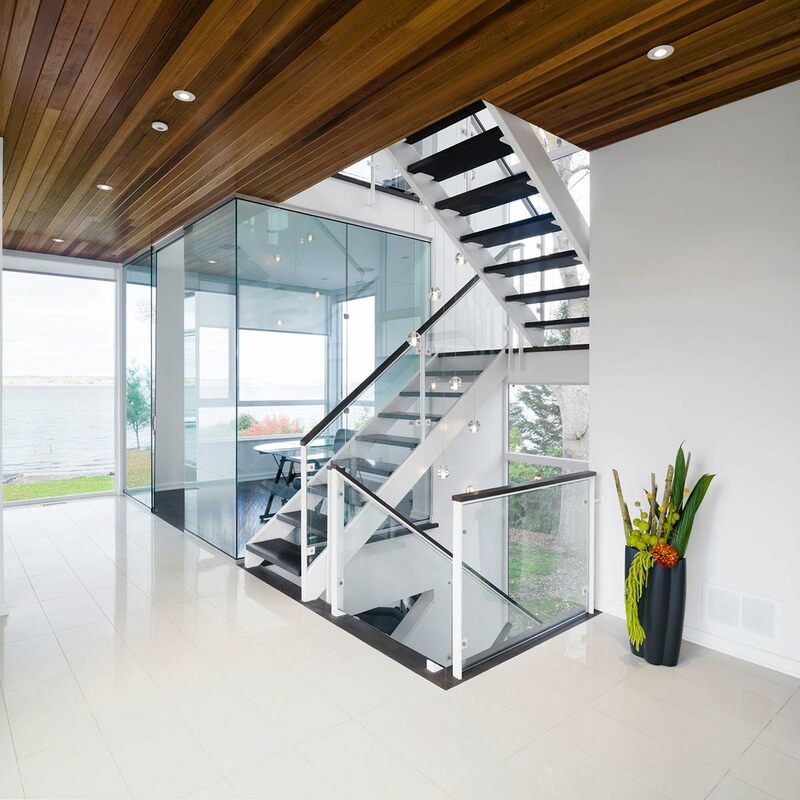 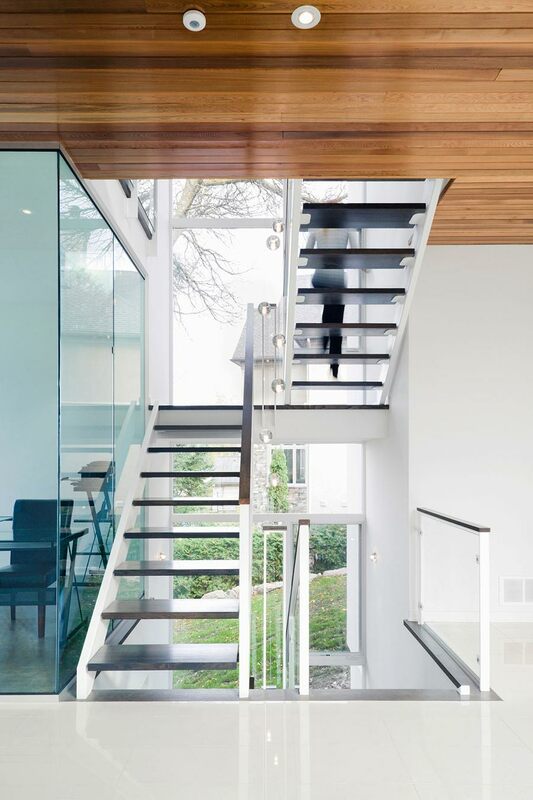 The Ottawa River House was completed by the Ottawa based studio Christopher Simmonds Architect. 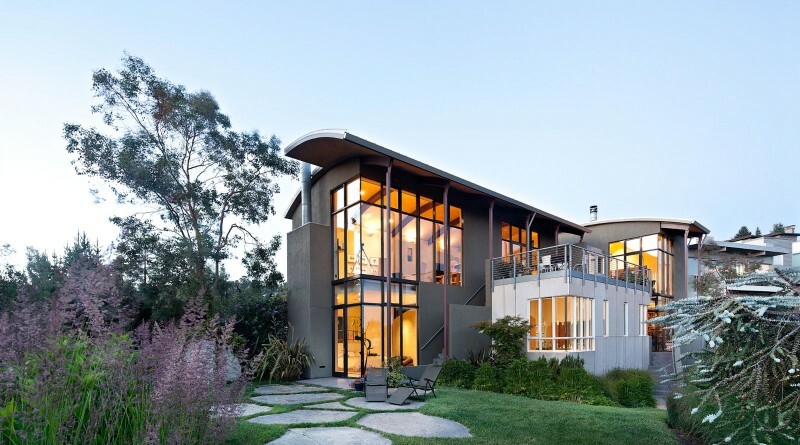 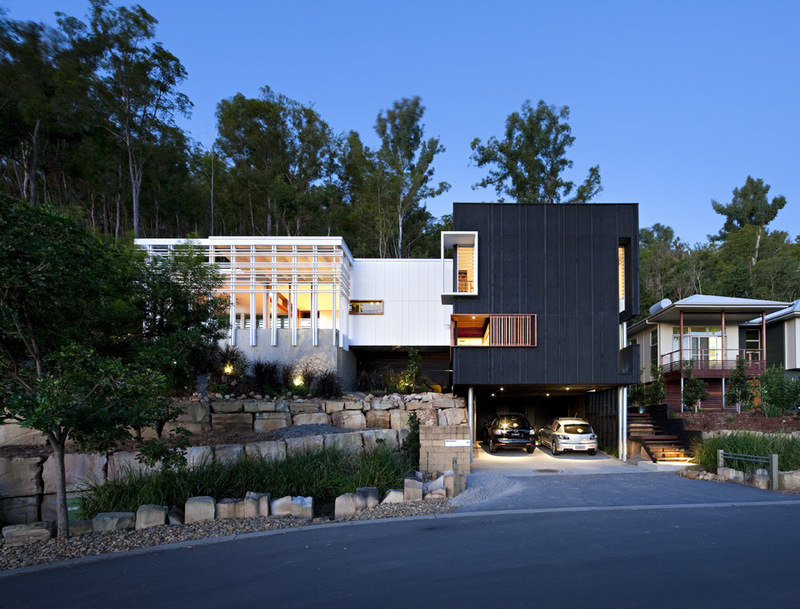 This modern residence, set in fabulous surroundings, enjoys wonderful views of the river. 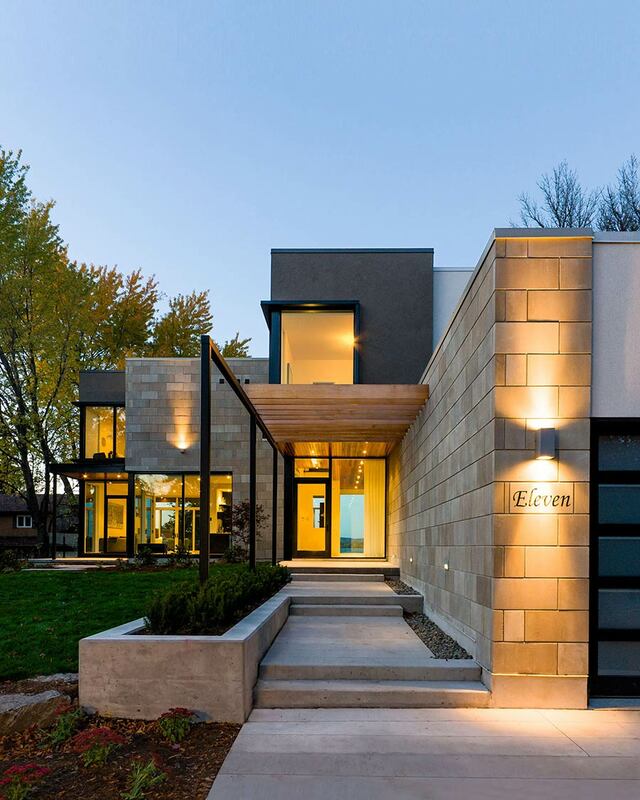 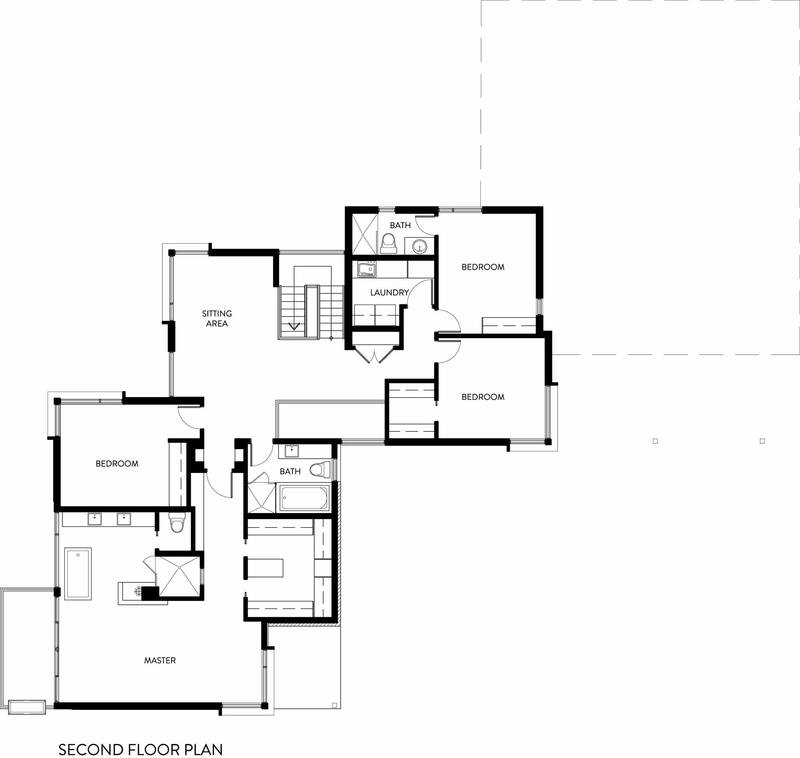 The home Located in Ottawa, Ontario, Canada. 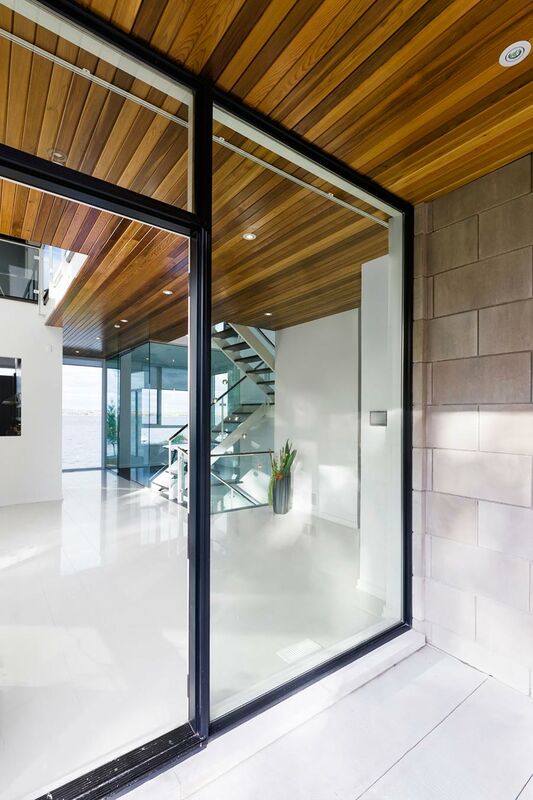 “To move through this home on the Ottawa River is to enjoy a carefully orchestrated sequence of encounters with its picturesque natural setting. 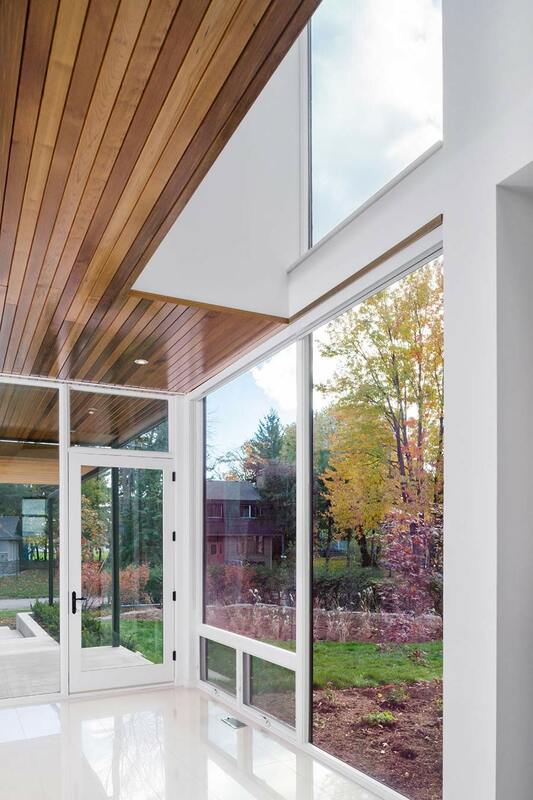 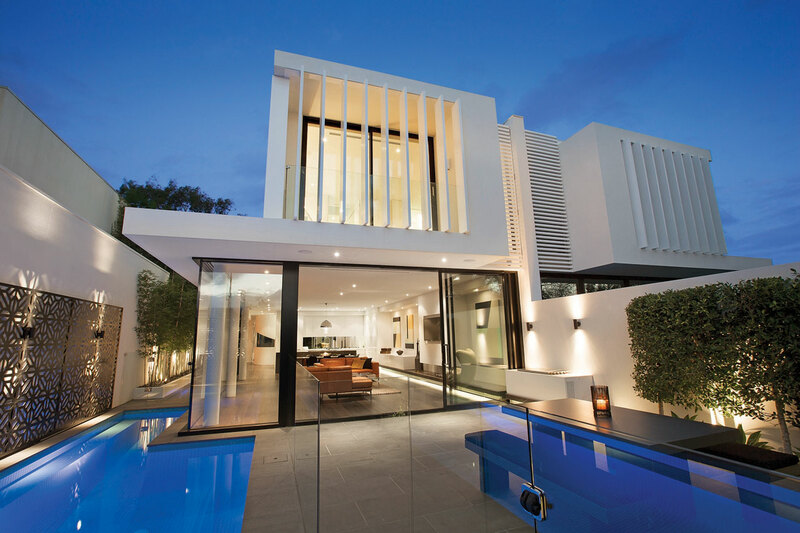 Views and light penetrate the spatial composition throughout its interlocking interior volumes. 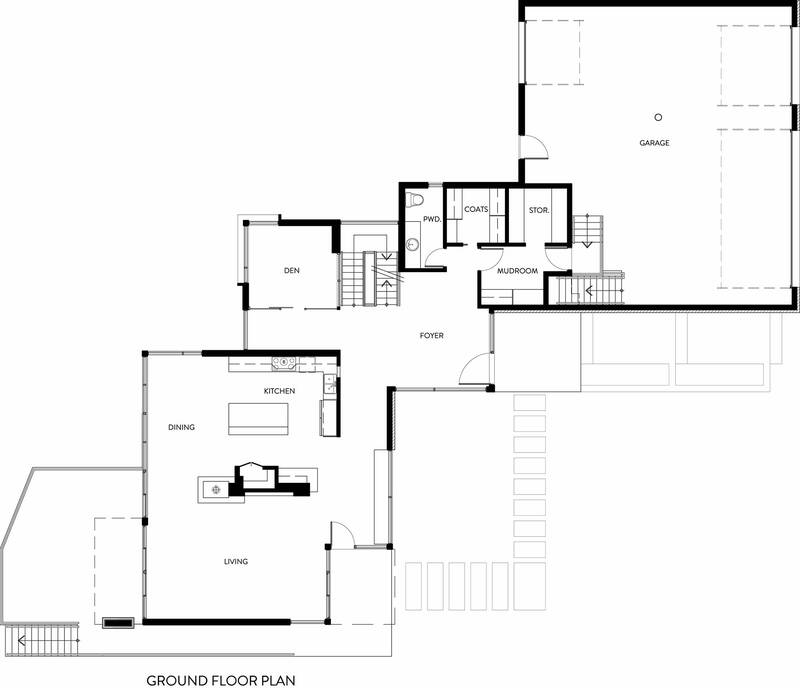 The starting point for the planning of this house was to identify a place on the site which afforded a view of Parliament Hill, and to locate the principal living spaces there. 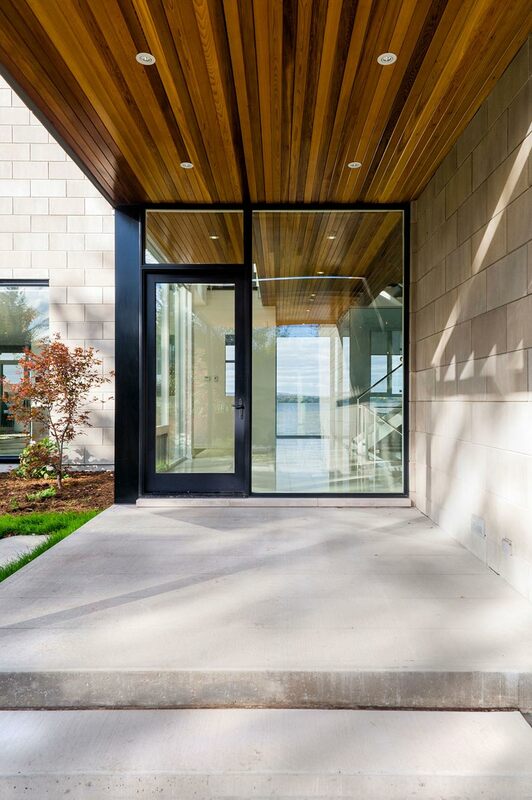 An elongated entry with a natural cedar planked ceiling brings visitors by way of the southerly courtyard to the very core of the site and the home. 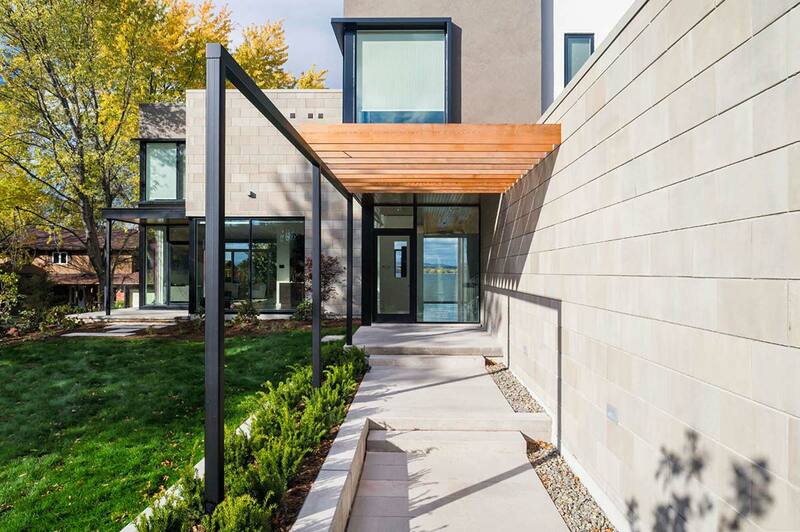 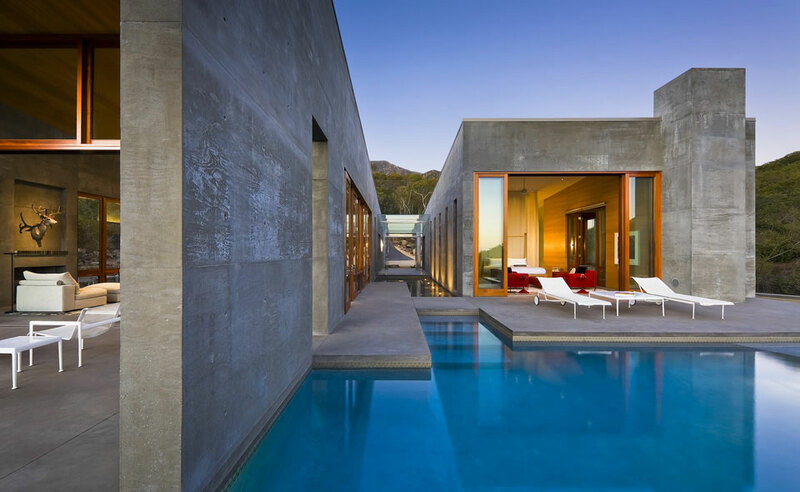 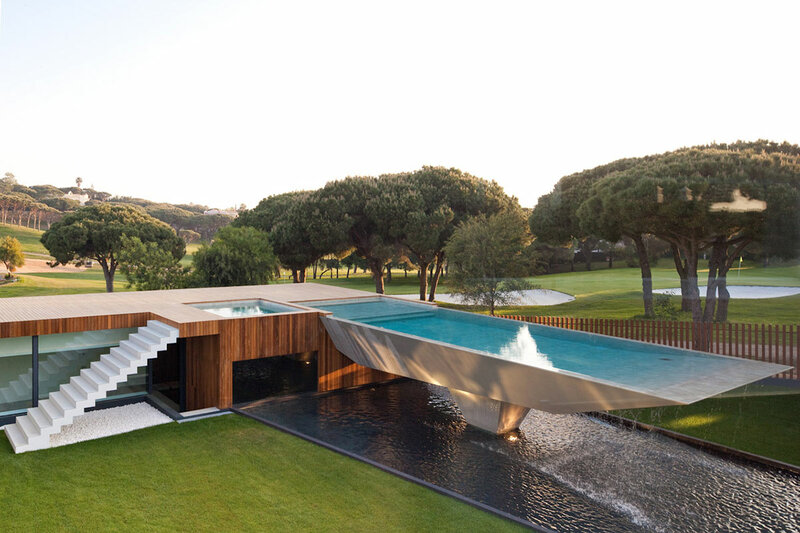 The result is a home with stunning views, and which enjoys both an intimate connection with the courtyard and a more expansive connection with the river.